University of Toronto and Center for Asian and Pacific Studies are organizing a Social Sciences and Humanities Research Coun­cil of Canada Partnership Development Workshop, the second of the three part series. 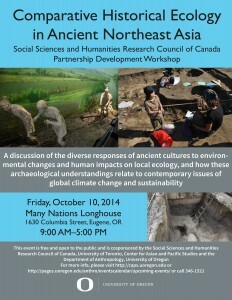 Guest speakers from US, Canada, China, and UK will discuss the diverse responses of early people to climate changes and their impacts on local ecology in China, Korea and Japan during the Late Pleistocene and Holocene. 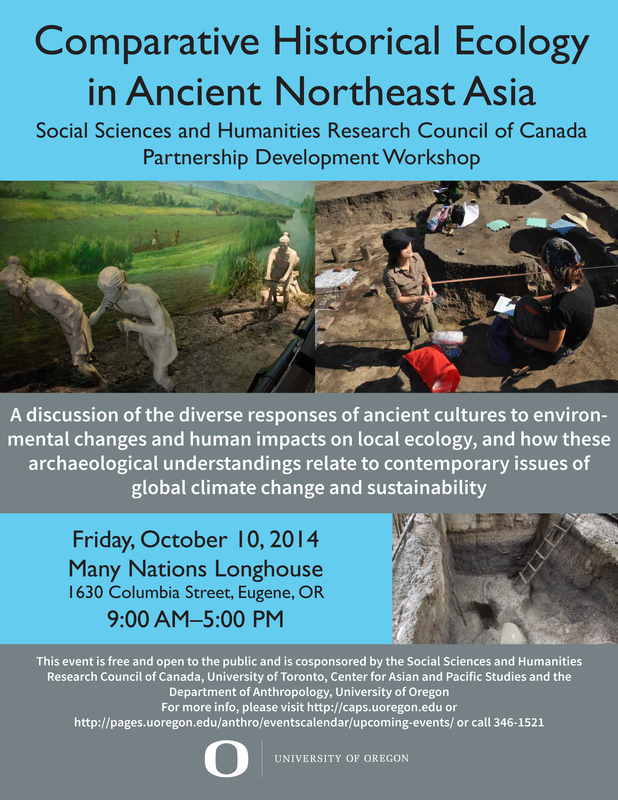 University of Oregon scholars will present historical ecology in North America and Pacific Islands. By examining past human-environmental interactions, the workshop will contribute to our better understanding of contemporary global warming and sustainability issues.